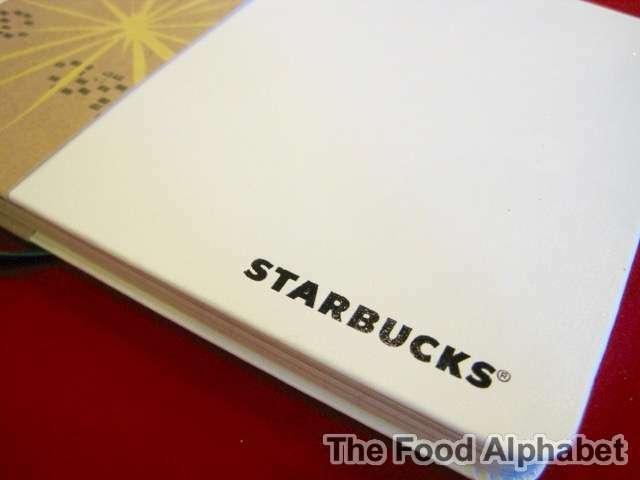 The Food Alphabet and More: 2016 Starbucks Planners are here! Moleskine® is the heir and successor to the legendary notebooks used by artists and thinkers over the past two centuries: among them Vincent van Gogh, Pablo Picasso, Ernest Hemingway and Bruce Chatwin. Beloved by the creative community, the brand carries over its notable design to create a Starbucks planner that is durable and versatile, with a simple, straight-to-the-point format and lots of free spaces where you can write and doodle. 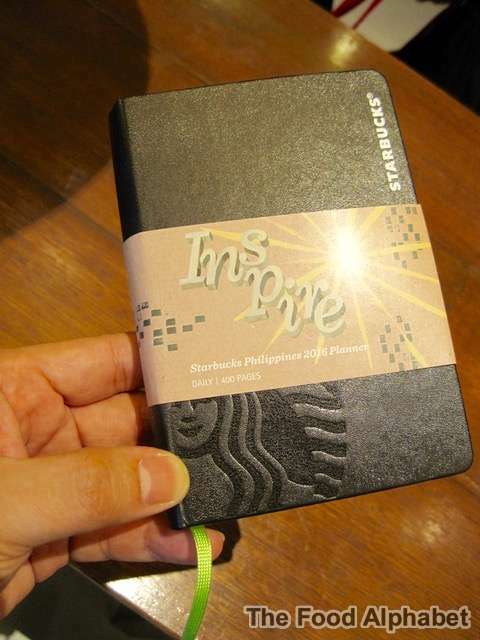 Now with Moleskine® and Starbucks collaborating to make the Starbucks 2016 Planner, makes it even more appealing and all the more exciting to collect! This year, the 2016 Starbucks Planner comes in 4 different variations! Available in two sizes, the regular version and the mini version, the regular planners will come in colors of White and Green, while the mini version come in colors of Red and Black. 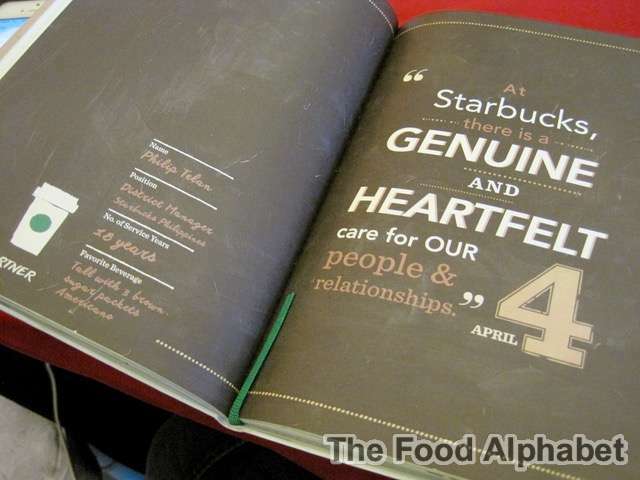 The regular planner has pages which gives you sayings and quotes which is everything Starbucks! While the mini planner packs a great deal of everything you need in a planner! Both planners have a built-in bookmarks and both have the special coupons you can use to avail of special offers from Starbucks! All planners are made with acid free paper and subjected to rigorous quality controls to ensure every detail is preserved. 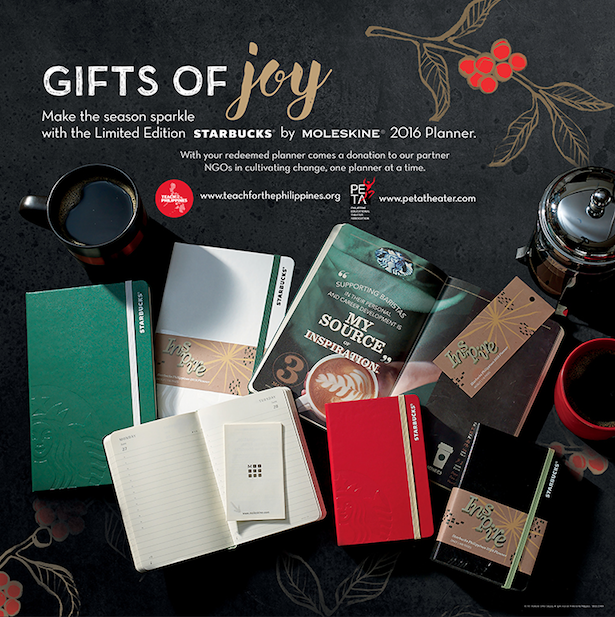 Creating new chapters in your Starbucks by Moleskine® 2016 planner is made even more special as you’ll get to help non-profit organizations Teach for The Philippines (TFP) and the Philippine Educational Theater Association (PETA) to fund their advocacies. So how are you getting these 2016 Starbucks Planners? This year, same as last year, you can avail of a Starbucks Christmas Traditions Promo card starting November 1, you would need to collect 18 stickers total to redeem one (1) Limited Edition Starbucks 2016 Planner. The 18 stickers are divided in to 9 Holiday Featured Beverages, which include any of Toffee Nut Latte, Peppermint Mocha and Starbucks newest Christmas drink the Christmas Panettone Latte, all available in hot, iced or Frappuccino blended beverage. The other 9 can be any Starbucks Core Beverage of your choice except bottled beverages. A maximum of two (2) promo cards can be combined to claim your planner. You can claim your stickers from Nov. 2, 2015 up to January 7, 2016, while claiming of the 2016 Starbucks Planner starts Nov. 2, 2015 up to March 7, 2016. So save up today and start collecting starting Nov. 2nd! The Perfect gift for your loved one this season of giving. Fast track your way to a new 2016 Starbucks Planner by purchasing P7,000 worth of merchandise single receipt from Starbucks. Do note that this does not apply to GC and Starbucks Card purchases. 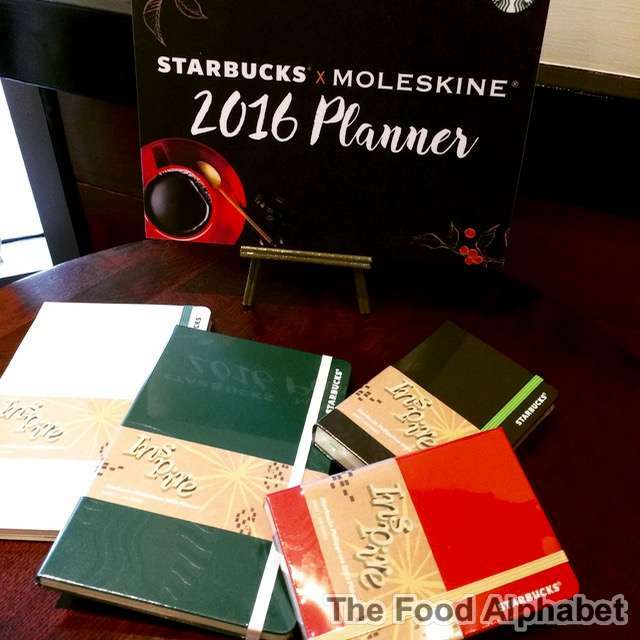 What is your favorite 2016 Starbucks Planner from the 4? Comment on below and who knows we might just give away 1 or maybe 2 planners this year! Let us feel the love this Christmas with Starbucks and their 2016 Starbucks Planners! Green regular planner, I need a regular size planner so I can write more notes especially for meetings and academic purposes. I want the black or red! Actually, I like both the mini versions! I love the black mini planner more but I like the red one too! I love the mini version because it has individual daily pages! I like my planner to be small yet have spacious pages so that it can function both as a planner and a daily journal. I also love that the mini version is so petite that it can fit in my purse and bring it with me all the time! I won't have the problem of forgetting to write down important tasks anymore just because it is quite inconvenient to take the planner out of my bag. 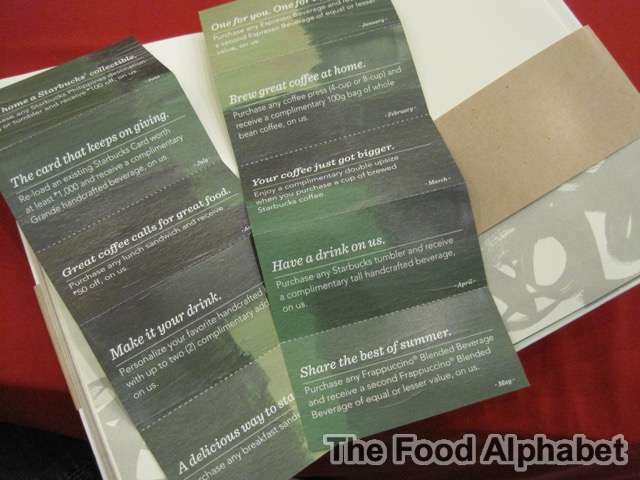 I am excited that Starbucks is collaborating with Moleskine because I love the quality of Moleskine products. but i will still collect stickers for the mini black and the white regular planners �� chocolate and vanilla cream are still great! The regular planner Green planner! As a youth minister, I go to different places and schools to meet various people. I don't just talk with them but I live with them. Almost everyday, I have a meeting with them, catch-up with friends, birthdays to celebrate, and events to attend. With this, it is very hard for me not to put everything into schedule. I'm choosing the white regular Starbucks planner so I can organize my weekly activities. With this planner, I can help myself to live my life into the fullest and to fulfill my mission here on earth. The green regular sized planner is so pretty! Being an Isko is more than just studying in all sorts of ways. We also enjoy the company of great coffee. Starbucks' beverages never fail to capture the vibe we exude. Every single centavo is all worth it when the vindicating moment of tasting their handcrafted creations commence. Okay, enough with the nitty-gritty, I suppose. To be honest, I have been trying really hard, for FOUR STRAIGHT YEARS, to achieve a completed Starbucks stamp card but time is not permitting me to do so. Haha it also came to a point when I cried because I was left with a stamp card that was two stickers shy of being accomplish. 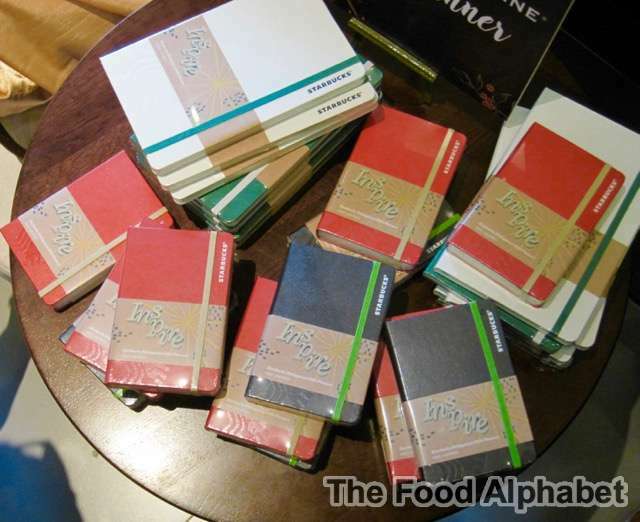 Well, if I were to be given one, I would say that the green Moleskine planner captivates the rustic charm I desire. It just looks so straightforward and adorable in all forms, like what their coffee has been offering for years. Though this seems to be a wishful thinking, I feel like there's a glimmer of hope that by a long shot, there will come a time that I will have in my possession, one of the things that I have yet to attain. Im dying to have one .. No preference .. Pls pls ..